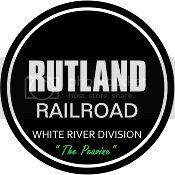 Railroad Line Forums - The Gallery: Feb. 2019 "Housing for Our LP"
The Gallery: Feb. 2019 "Housing for Our LP"
The Town Doc' lives upstairs..
Great photos. I can only imagine how impressive your layout is. My LP's are literally dying to get into this old mansion, on the end of this dead end road. Superb build with admirable photography! Half the population of the town's LP live here. That funeral home looks spooky and awesome! That really is a terrific build! Apartment over the music store'..Noisy during the day time... Quiet at night..
Terrell, I bet the other half are clamoring to get in there as well! Such a beautiful looking model! Working on a house converted to a bar, so my company town workers have a place to drink.